Below is a guide to the common incidents that occur in childhood. Tears: Occasionally the inside of the mouth, particularly the cheeks and inside of the lips, may get small tears. These usually heal on their own. Tears to the flap of skin between the upper lip and gums will also heal unaided. Cuts: Large cuts to the tongue may need stitches to heal properly. Cuts involving the outside of the mouth and extend beyond the edge of the lips often require stitches. Punctures: Your child might end up with a puncture style injury in the back of their throat if they were to trip or bump something with an object in their mouth such as a pen or toothbrush. If the puncture is towards the side of the throat, it runs the risk of encountering major arteries. To stop the bleeding of minor injuries, press the cheek or lip against the teeth and hold it for a few minutes. For the tongue, place a clean cloth or a piece of gauze on the wounded area and apply pressure with your fingers. Bumped Teeth: When something hits your child’s teeth too hard, the tooth may become loose and bleed slightly by the gums. It will often tighten up within a few weeks. Exceptionally loose teeth, or teeth that interfere with your child’s bite should be looked at by a dentist. The injured tooth may also discolour to a grey or brown, which could potentially indicate infection. This injury can happen as early as when your child is crawling. Breaks: This is the most common tooth injury in young kids. 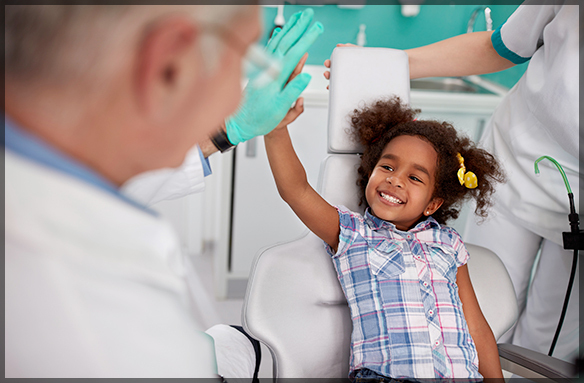 Your child’s dentist will need to evaluate the break to see what the treatment plan will be to repair the tooth. Knocked-Out Teeth: With primary teeth, a knocked-out tooth is not replaced as it may affect the growth of the permanent tooth. The dentist will observe the empty space, and decide whether it needs to be maintained so there is room for the permanent tooth to fit. Shifted Teeth: A tooth may end up moved from its original position. The best circumstance is If the tooth angles so the bottom points towards the inner part of the mouth, as the root will have likely moved forward with this shift. As most permanent teeth grow and develop behind the root, there is less chance of the new tooth being affected. If the tooth has been pushed upwards into the gums and bone, it will likely be left alone to come back into position on its own. The adult tooth may have experienced damage though. In either case, the dentist will keep an eye on the injury to see the extent of the injury. Loose Teeth: If the loose tooth is causing problems with the way your child closes their mouth, it should be looked at quickly. The tooth can often be put back into its correct position and held with stitches or splints if necessary. Broken Teeth: Breaks are usually repaired successfully. It is occasionally possible to reattach the tooth fragments if they are preserved in tap water. Otherwise, the tooth is repaired using a composite resin matched to the natural colour of the remaining tooth. Knocked-Out Teeth: A missing permanent tooth is an emergency that should receive treatment as soon as possible, as the longer the tooth is out the less likely it will survive. Rinse the tooth and put it back into the empty socket as soon as possible. Most teeth placed back in the socket within 5 minutes survive. If you are unable to put it back in the socket, store the tooth in cold milk, or a cup of the child’s saliva until you can make it to a dentist. Monitor your children’s mouths for any signs of cuts, fractures, or looseness. 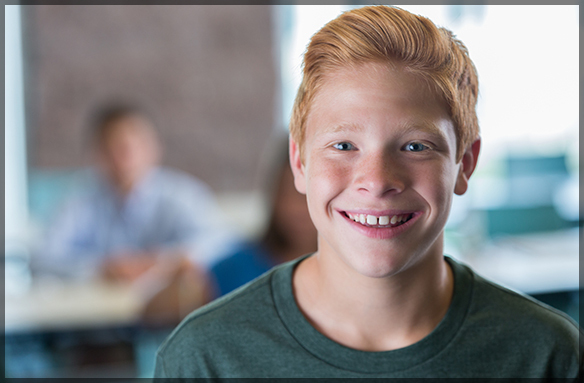 If your child has experienced a dental injury and needs to be seen, or you have any questions about our other services, give Family Dental Care a call at 613-736-5000 or contact us. Your child’s smile is important to us!